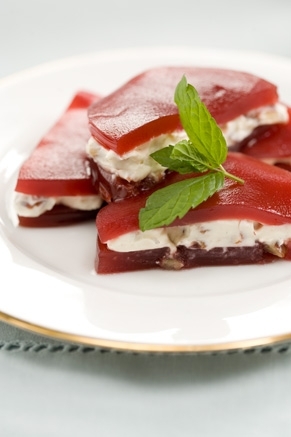 This unexpected take on jellied cranberries will jazz up your holiday table, but it also works with regular meals. Mix cream cheese and mayonnaise until creamy. It needs to be spreadable. Add pecans and mix well. Slice cranberry sauce in 1/4 inch rounds and spread cream cheese mixture on one round and place another round on top, sandwich style. Keep in fridge until time to serve.